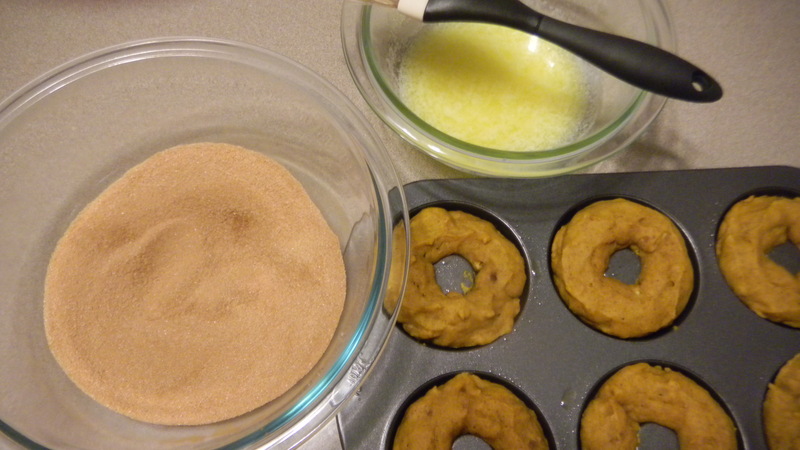 The donut pans I bought for the apple donuts have not gone to waste. They barely made it back to the cabinet before I pulled them out again to bake up a new batch of donuts. 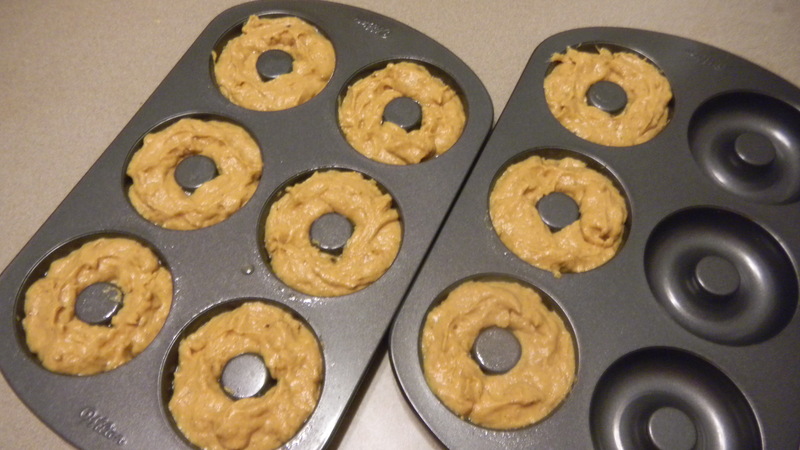 I had some leftover canned pumpkin, so I decided to use it to make pumpkin donuts. 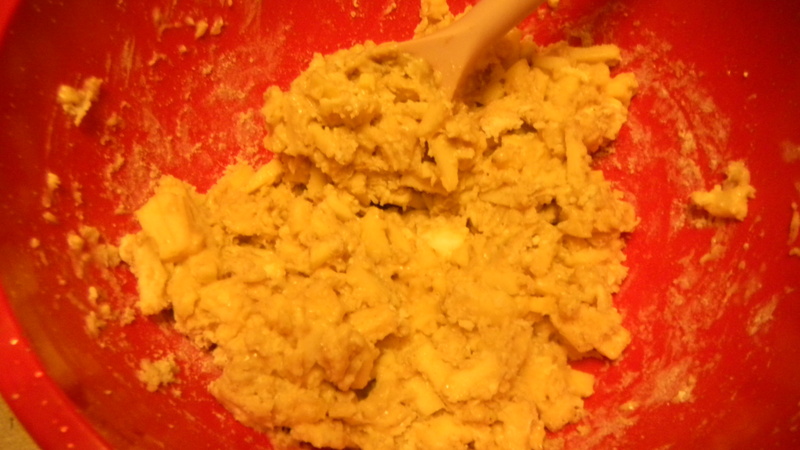 and spooned the batter into the sprayed pan. 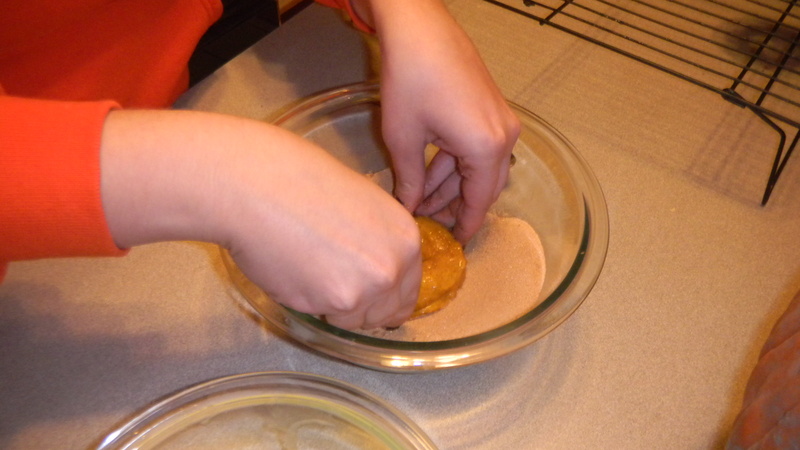 Fourteen minutes later, they were fully baked.I allowed them to cool for a while, and got the topping ready. 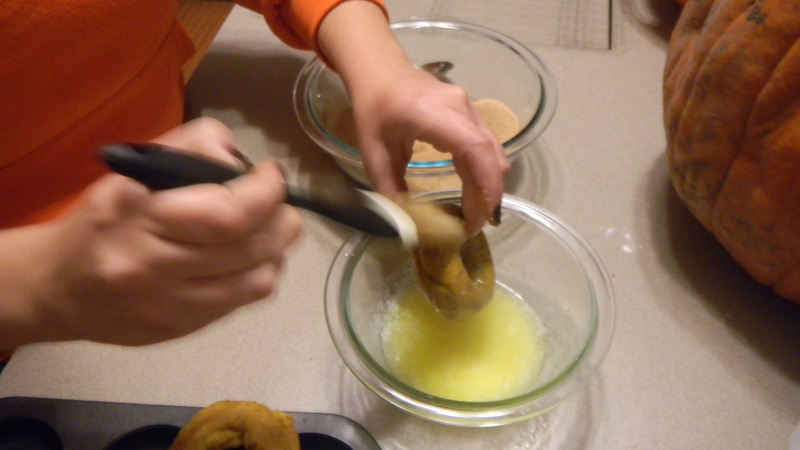 and dipped them in a cinnamon sugar mixture. 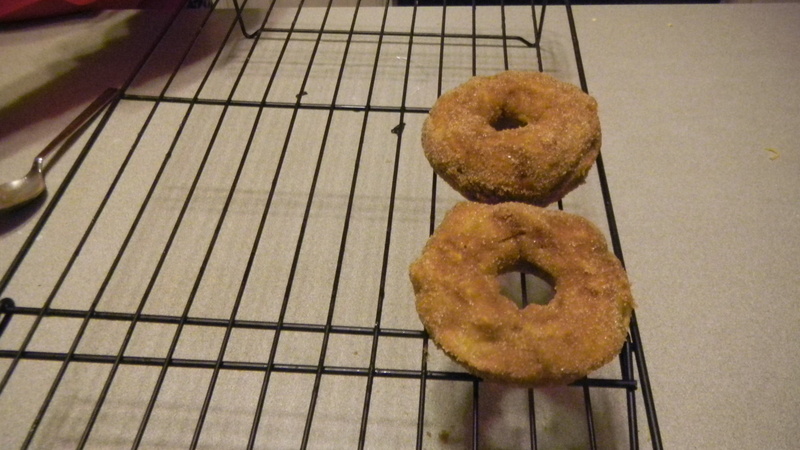 The donuts came out spongy and very cake like, though a little more dense that I thought. Still, they were delicious. If you don’t eat them fresh out of the oven, I strongly suggest heating the donut for about 15 seconds in the microwave before eating it. Just yum.